As people, business, and information cross borders, so too do legal disputes. Globalisation means that courts need to apply principles of private international law with increasing frequency. Thus, as the Law Society of New South Wales recognised in its 2017 report The Future of Law and Innovation in the Profession, knowledge of private international law is increasingly important to legal practice. In particular, it is essential to the modern practice of commercial law. 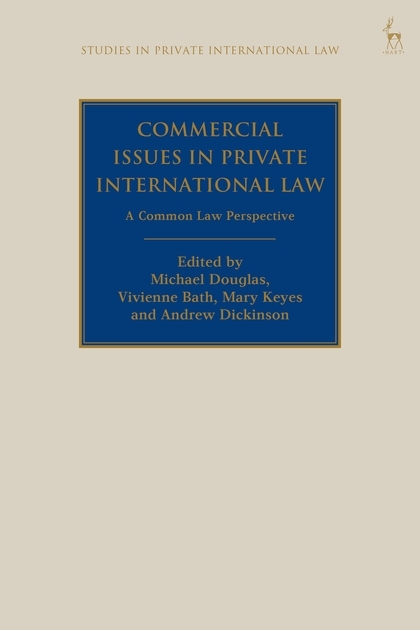 This book considers key issues at the intersection of commercial law and private international law. 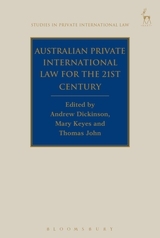 The authors include judges, academics and practising lawyers, from Australia, New Zealand, Singapore and the United Kingdom. 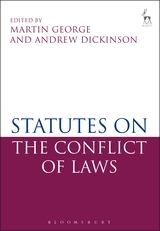 They bring a common law perspective to contemporary problems concerning the key issues in private international law: jurisdiction, choice of law, and recognition and enforcement of foreign judgments. 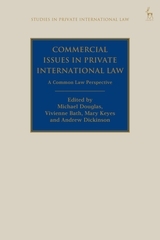 The book also addresses issues of evidence and procedure in cross-border litigation, and the impact of recent developments at the Hague Conference on Private International Law, including the Convention on Choice of Court Agreements on common law principles of private international law. The 2005 Hague Convention: A Panacea for Non-Exclusive and Asymmetric Jurisdiction Agreements Too? Michael Douglas is Senior Lecturer at UWA Law School, University of Western Australia. Vivienne Bath is Professor of Chinese and International Business Law at the University of Sydney Law School. Mary Keyes is Professor of Law at Griffith Law School, Griffith University.